The SureCall 5 dB Attenuator (SC-ATNR-5) is used to reduce the power of the signal within a system to avoid any overload or oscillation issues. 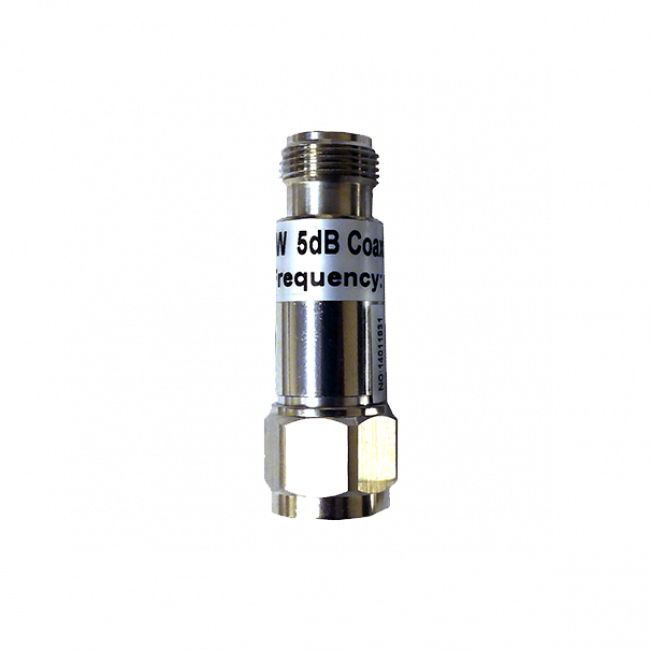 The SureCall 5 dB Attenuator (SC-ATNR-5) is used to reduce the power of the signal running through a cable. Attenuators are typically used when strong outside signals cause the amplifier to overload and must be reduced for the amplifier to function properly. The attenuator have an N-Male and N-Female connector so it can screw directly between and amplifier and a cable.